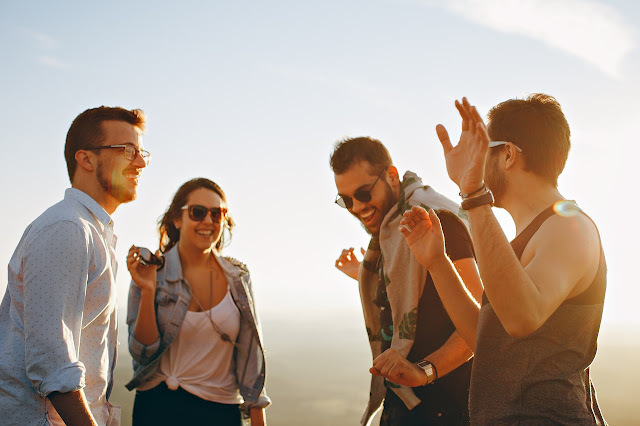 Recent studies have shown that the central factor in feeling self-confident is the ability to connect with others. There is a painless way I use to improve this skill in my clients - and it takes just 5 minutes a day. I also do the peace, poise and confidence exercise (below) daily to connect to my most powerful inner resources. I give clients the following exercise. If you want to try this, you commit to yourself that you will do an experiment where you smile at 5 strangers a day for a week. Be sure to pick people who feel safe at first, meaning that you don't expect a response from them. Like in all of life, you will find that some will respond and some won't. But that's not the point at all here. What you are aiming to accomplish here is completely about you and your ability to stretch your connection skills. After you do this for a while you might start to feel differently, in some small way, and wonder how often you used to smile at people, or even start to wonder what your usual expression is with people. If you like, you could ask your friends if you usually smile or frown, or something in between. Take a few deep breaths and settle in to your body… Now that you are completely relaxed, see in your mind's eye the face of someone you love. See this person looking back at you with complete love and admiration in their eyes. This person sees you completely and loves you just as you are. When you dip into this feeling you can smile with complete abandon, just like the sun shines itself out on everything with complete abandon.